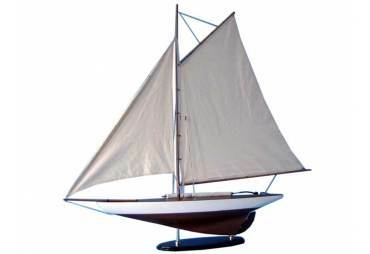 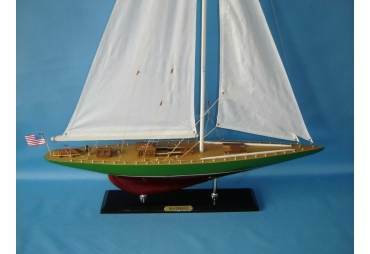 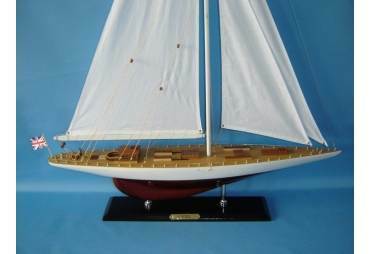 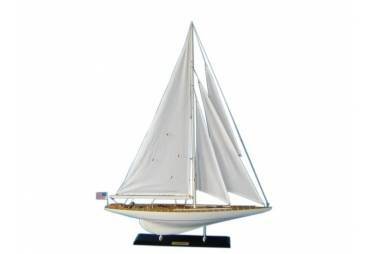 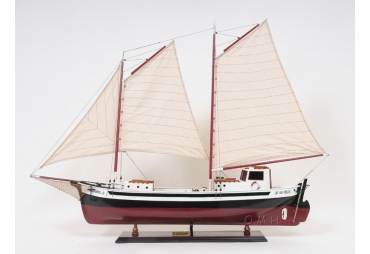 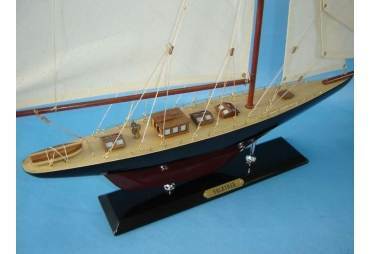 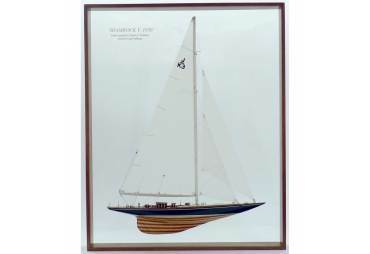 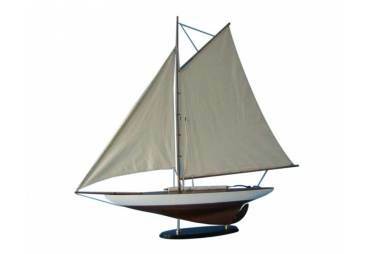 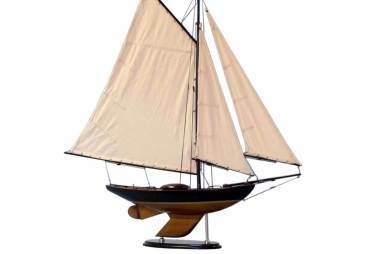 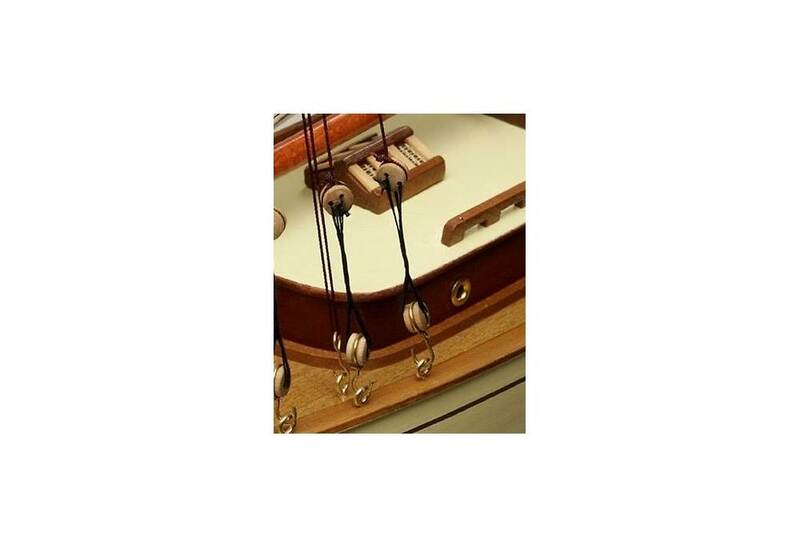 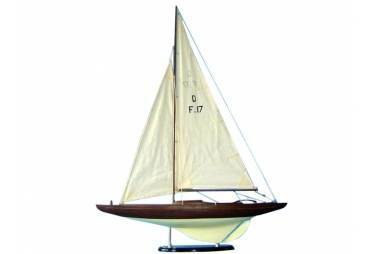 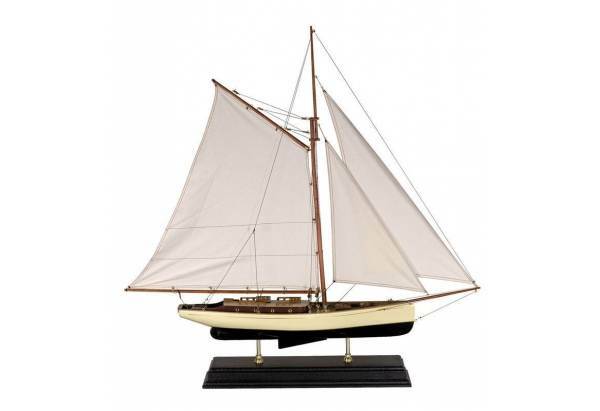 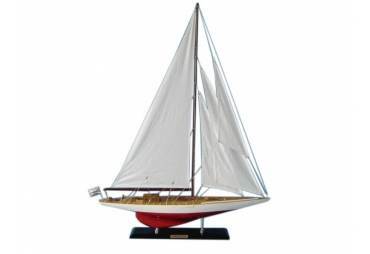 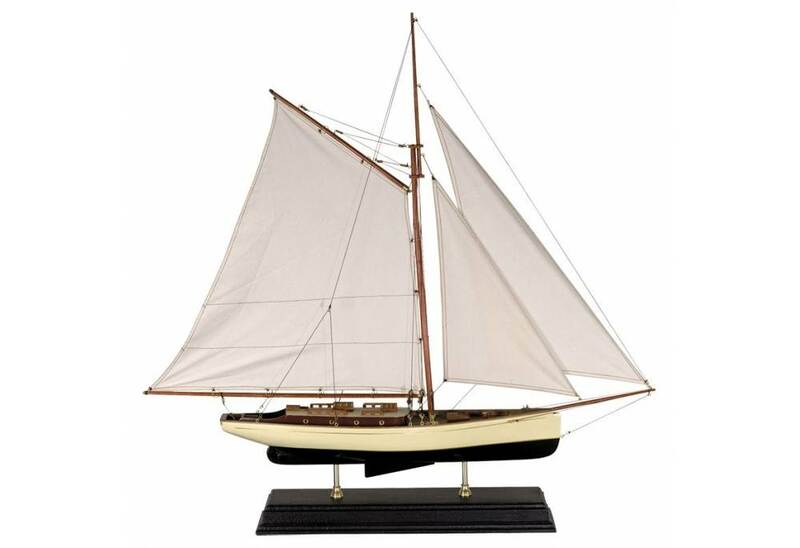 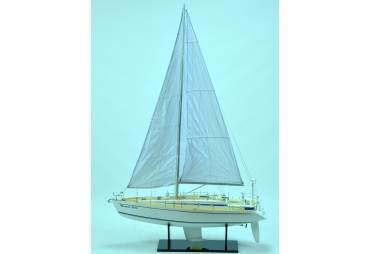 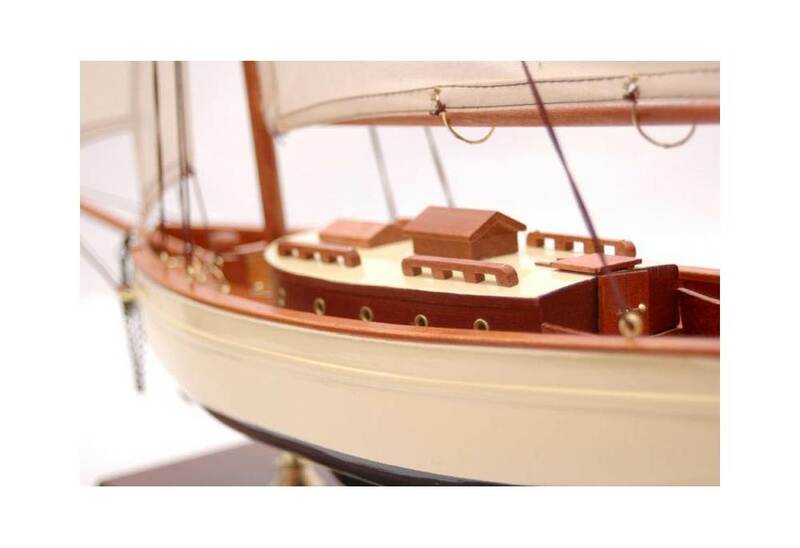 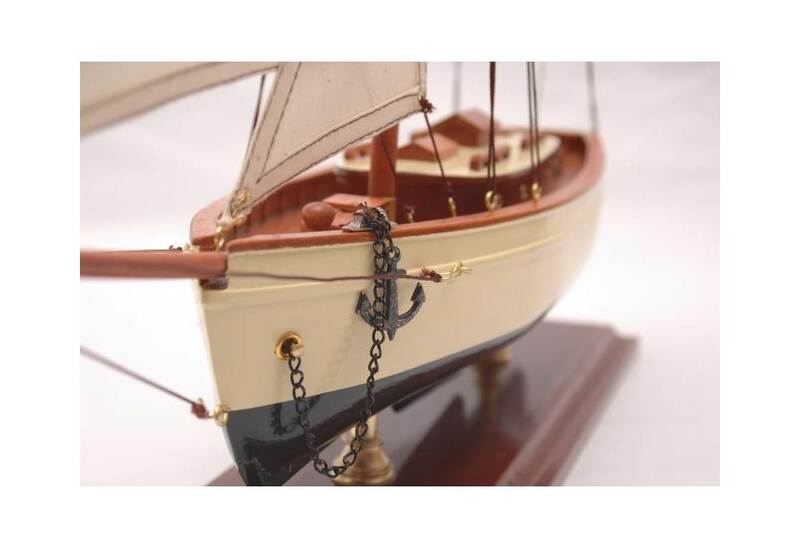 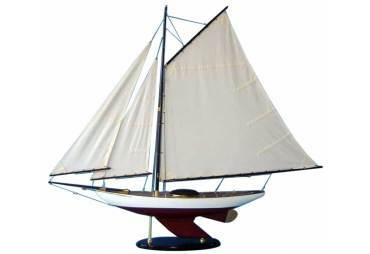 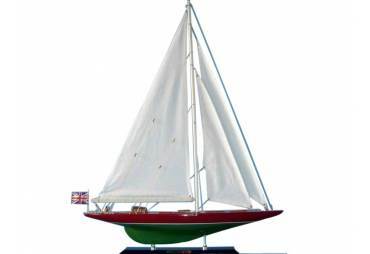 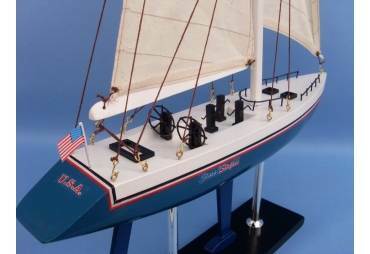 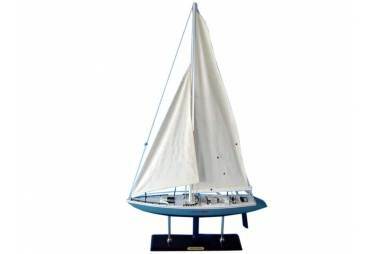 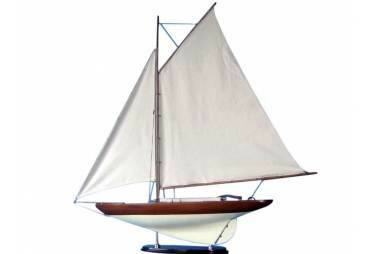 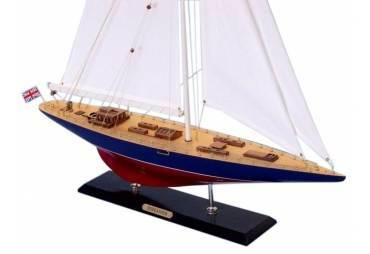 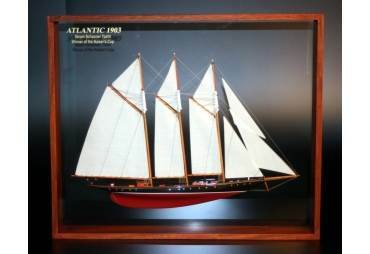 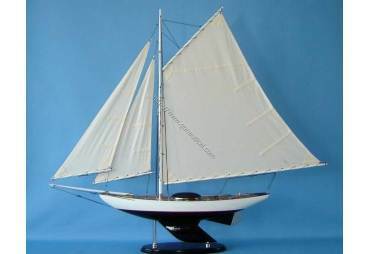 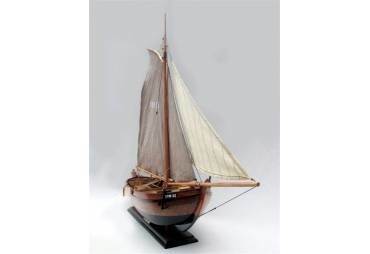 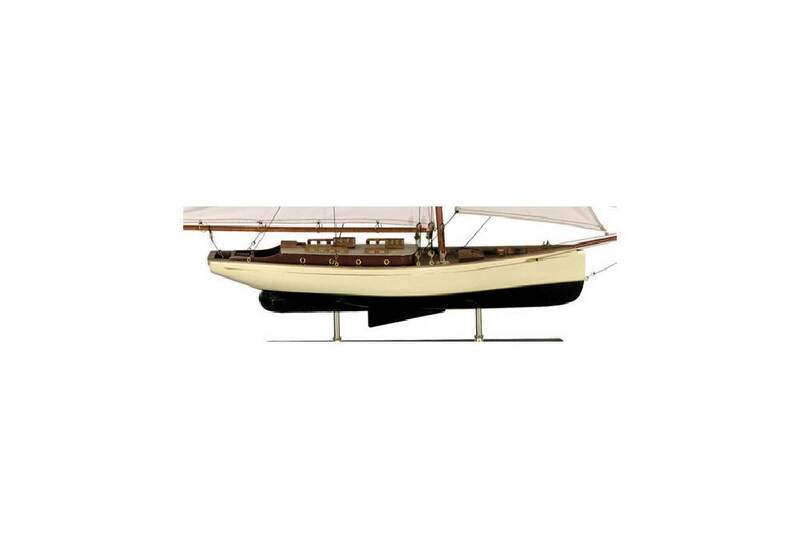 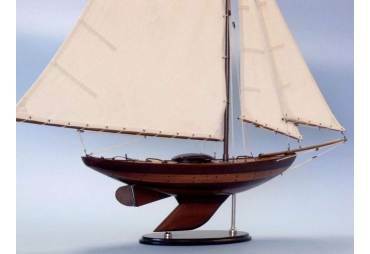 This classic 1930's handcrafted miniature sailboat model rests on antique finished stand, supported by two brass stands. 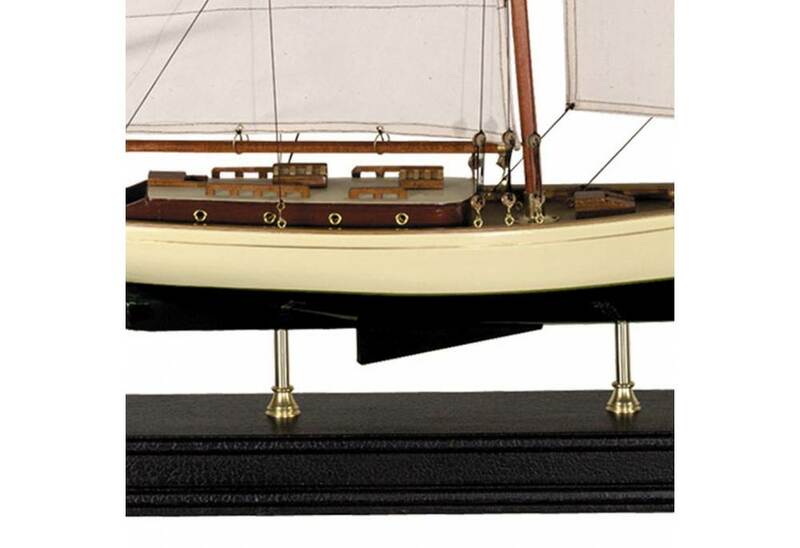 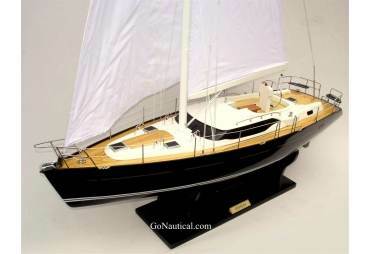 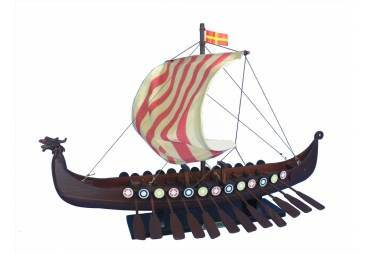 Clean and crisp sails, bronze portholes and lots of great details. 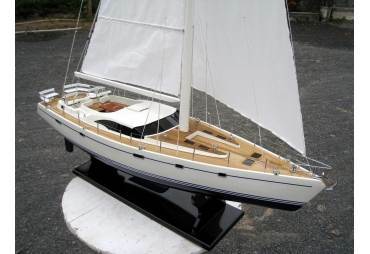 Model is fully assembled. 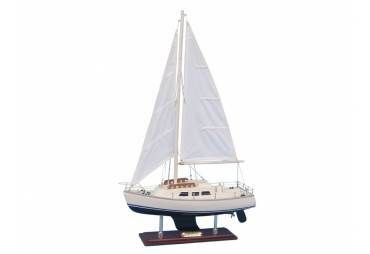 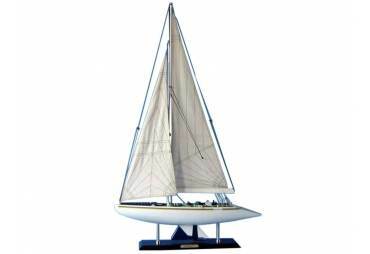 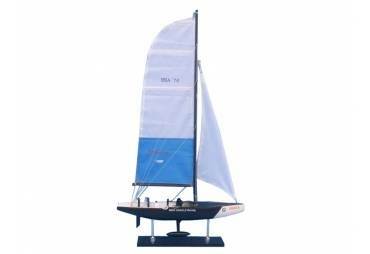 Except, for placing the mast and following directions for easy sail and rigging attachment.